Bulgarian President Rosen Plevneliev has spoken up against early election and nationalization of power utilities in a special address Monday. At the same time, Plevneliev expressed support for the requests of tens of thousands of citizens who came out in protest Sunday against ongoing economic stagnation and poverty in the country. He called on all political actors to display responsibility, unity and to throw aside partisan slogans at a time when society is polarized and torn by tensions. "Protests were initially motivated by high electricity bills, but their true reasons are deeper," said the Bulgarian President. 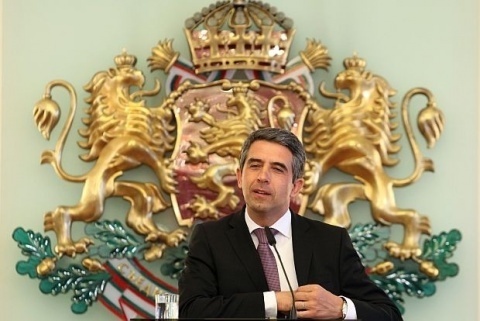 "The greater problem is the perception of injustice and the low incomes of Bulgaria's citizens," added Plevneliev. According to the Bulgarian President, Monday's resignation of Vice-PM and Minsiter of Finance Simeon Djankov is "only part of the solution." Plevneliev stressed that the cabinet of PM Boyko Borisov need to work hard to overcome the problems that ordinary Bulgarians face in their daily lives. In particular, he supported measures taken by the cabinet to audit the work of private power utilities and government agencies in the formation of electricity prices in the country. According to Plevneliev however, the nationalization of power utilities, something called for by some protesters, is not a solution to the issue.